Jordan was marginally better at baseball. This was written last year. FYI. A single championship in football is equal to like 3 in basketball. Well I don't know if I would go that far but there has to be something to be said about one player's affect on a team of 22 as opposed to one player's affect on a team of 5...even if he is the quarterback. Brady is better than Jordan not even close. Basketball? Pfft, pu$$y sport. FOUL! Why don't we compare Brady to Kasparov, the greatest chess champion while we're at it? Repeating in the NBA is not a piece of cake, but much easier than the NFL. I don’t remember who wrote it but there was an article a few years back talking about how unfair it was to compare anyone to MJ because his path was so storybook to be almost mythical. Even if you won as much and scored as much, it was impossible to be as epic. Cut from HS team, game winner in NCAA title as freshman, flashy but took his lumps climbing to NBA title, literally globalized the NBA via marketing, 3-peat, retires, comes back like Jesus after trying baseball, fails briefly, 3-peat again while taking the entire league to the woodshed and setting team win record, retires (second time) after nailing (and POSING FOR!) title winning shot. You literally could not write his story, it would defy suspension of disbelief. And he talked **** the ENTIRE time, was the most celebrated athlete of his era, and yet the chip on his shoulder was intact even on the day of his HOF induction. He is INSANE. But goddamn if it wasn’t amazing to watch, and that 10-part 90’s Bulls documentary that was floated around New Years I cannot WAIT to watch, and I can only hope a similar project will someday reveal some of the inner workings of the BB/TB Patriots. It probably wouldn’t be as revealing because those Bulls were the last great sports circus to exist before the dawn of social media and 24/7 sports news. 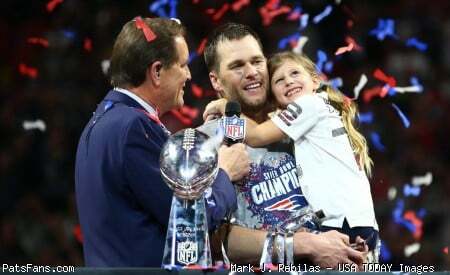 I think there are comparable story elements for TB for sure...struggles in college to get and keep playing time, Brady 6, the way he got his NFL job and NEVER gave it back likely owes a lot to his college experience, the close games, the comebacks, the personal attacks on him and his franchise that have elevated them to the forefront of the NFL for almost 20 years, his defiance of the normal rules of the game as an aging QB, all of it. He’s also insane, but he has also come across as more of a company man (for Kraft instead of for Nike) and family man, and the ultimate teammate instead of a begrudging one who punches Steve Kerr in the face. It’s a different thing, but they are undisputably singular as competitors, leaders, and winners in their sport. That’s the main line of similarity, and the main point. No need to compare, just be glad you got to enjoy each in their own right because there will never be another quite the same. Jordan’s greatness is just different. But I do love the irony that Brady “has Belichick” while conveniently forgetting Jordan didn’t win a championship until he got Scottie Pippin, a slew of excellent complimentary pieces, and a head coach who won 5 championships outside of Chicago. But Jordan is wrongly rewarded because he couldn’t drag underdog teams into the finals and was 6-0, even though that should be a plus for Brady (and LeBron.). “Finals record” is one of the dumbest things in sports. I think Brady would be the better baseball player than Jordan. We know he has the arm and mechanics to be a catcher and we know he has the brain to outwit hitters and manage a pitching staff. If he could hit over the Mendoza line he'd make the majors. On the basepaths of course it'd be all Jordan. And what’s their record head to head? Because Brady didn't have his own Karpov along the way. I think K-K are defined by epic struggles with each other. For those interested, Kasparov and Karpov played for World Chess Championship in 1984, 1985, 1986, 1987 and 1990. That was extraordinary because usually there is a 3 year gap between WC matches, but these two were so EVEN that world chess organization came up with different rules for them. Basketball is basketball and football is football. Totally different sports and to compare great players to other great players in different sports is foolish imo. It is a bit hard to compare NBA to NFL because both organisations are based on quite different rules and guidelines. However IMO to win a championship in NFL is more complicated than in NBA. A lot of injuries, one game one mistake and your team is out.In NBA you have got in playoffs time to change something after one or two losses. There is possibility to change the strategy and win the series. In NFL creating a dynasty like the Pats have been doing is a hell of a thing. I am not saying Brady is better or worse Jordan or so but I think the way of getting the ring in NFL is more difficult than in NBA. Both of them are legends to me. In case of Patriots and "dynasties", yes, championship in NFL is harder to obtain/defend than in the NBA, because of luck factor (1 game vs 7 game series). The longer the series, the smaller chance for upsets. It doesn't apply across the board. Weaker teams have a greater chance of stirring the pot in the NFL, for the very same reason. Thus I agree that 6 titles in NFL > 6 titles in NBA, but disagree with "getting the ring in NFL is more difficult". Nearly impossible to compare because the nature of the NFL is vastly different compared to that of the NBA. For one thing, 16 game season vs. 82 game season. For another, a great player in the NBA can single-handedly impact the team much more than a great player can in the NFL (Brady does come pretty close though). The only thing for sure? Only Wayne Gretzky can claim he is THE undisputed GOAT among all sports fans. There will always be some idiot arguing the case against Brady or MJ, but no one will question Gretzky.